The policy change is aimed at encouraging guests to finalize their bookings earlier. The cancellation policy adjustments announced, "were decided upon in an effort to better align with industry standards and to make the schedule simpler and more concise." 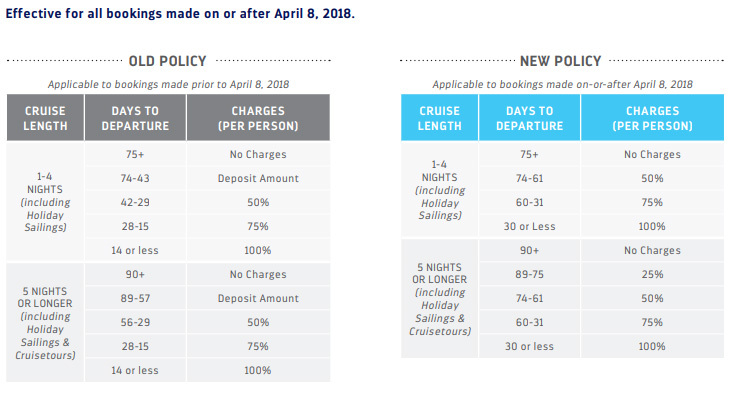 The change impacts both individual, NextCruise, and group reservations created on or after April 8, 2018. Royal Caribbean last updated its cancellation policy in February 2016.